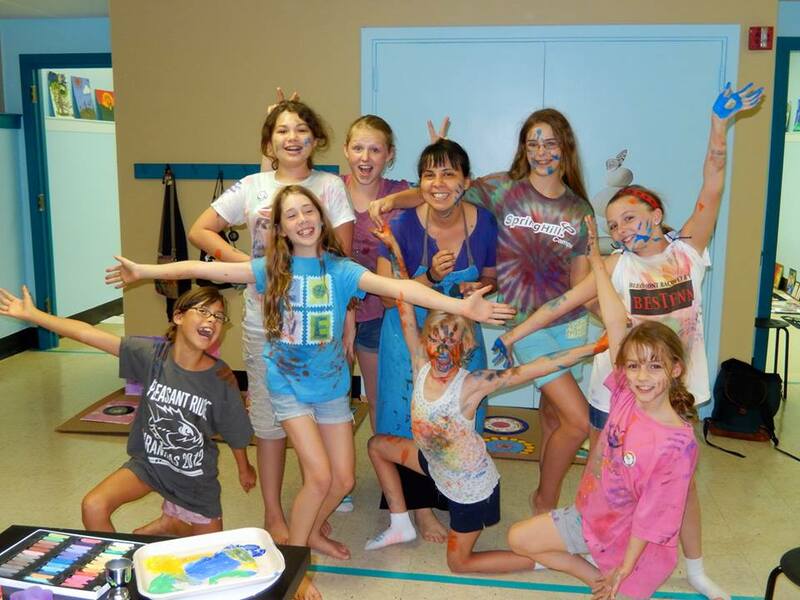 Art as a Spiritual Connection is offering summer art camps for children and youth. There are four camps being offered this summer. Registration here! Mixed Media Art Camp – a new kind of art camp experience for youth entering 4th through 8th grades. Deeply rooted in contemplative spirituality (living in the moment), the program uses art medium as a ground for a relationship with the Divine. Designed to be a small, high quality camp open to mixed media art exploration. – Offered June 2-6, 2014 at All Saint’s Episcopal Church 9 am – 4 pm (6301 Parkman Place, Cincinnati, OH 45213) — $150/child (12 spots). Flyer here. – Offered July 28 – August 1, 2014 at St. Thomas Episcopal Church 9 am – 4 pm (100 Miami Avenue, Terrace Park, OH 45174) — $150/child (20 spots available). Flyer here. The Mystical Girl: affirmations of love and grace Mystical Girl is an experimental art retreat designed for girls ages 12-15. The retreat is a creative space to nurture girls who are transitioning into their new, developing bodies to claim the totality of their beings: body, hear, mind, and soul. The path to share about wholeness with girls is the way of the mystic – knowledge through direct experience of the presence of God. Media media art projects include acrylic painting, collage, block printing, polymer clay and reclaimed objects. All art projects and spiritual lessons will be developed around the concepts of wholeness and vocation. Flyer here. – Offered June 19-13 at All Saint’s Episcopal Church 9 am – 4 pm (6301 Parkman Place, Cincinnati, OH 45213) — $150 per girl (12 spots available). The Art of Love is a new kind of art camp experience for children ages 6 to 9 (first through third grades). Deeply rooted in contemplative spirituality (heart centered mindfulness), the program invites children to reconnect to God through nature and to use LOVE, the energy of the heart to heal the world. Mixed Media projects include acrylic and watercolor painting, collage, polymer clay, the art of mandalas, sand work and reclaimed objects. Our mornings will be filled with art making, spiritual lessons, and healing practices with the earth. Flyer here. Posted in Art as a Spiritual Connection and tagged with Art, camp, connection, Spirituality, summer. RSS 2.0 feed.